H822A3P was successfully added to your cart! H822A3P could not be added as a favorite. Please make sure you are logged in. Upper belt. 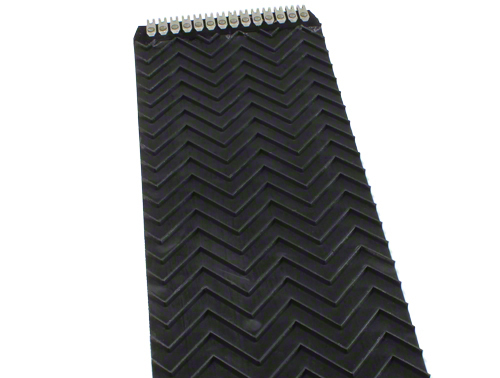 3-ply continuous chevron top, 6.5" x 572.5", Flexco lace. 8450 (2); use with (4) H821A3P. 8460 to s/n 57417 (2); use with (6) H821A3P. 550 (2); use with (4) H821A3P. 560 s/n 0220 to 1964 (2); use with (6) H821A3P. 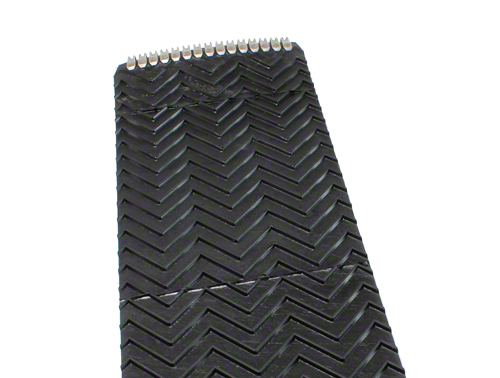 3-ply continuous chevron top, 7" x 570", Flexco lace. Fits Case-IH 8450; 8460 to s/n 57417; Hesston-AGCO 550; 560 s/n 0220 to 1964.